Dominique Fong has served as a community reporter for "The Oregonian," a daily newspaper based in Portland, Ore., and contributed to "Angeleno Magazine" and the "Los Angeles Business Journal." Fong holds bachelor's degrees in print journalism and political science. Softening leather boots with the correct techniques keeps them in good shape. While leather is a durable material, boots need to be softened to protect them from weather damage. When natural oils in the skin dry out, leather becomes brittle and cracked. 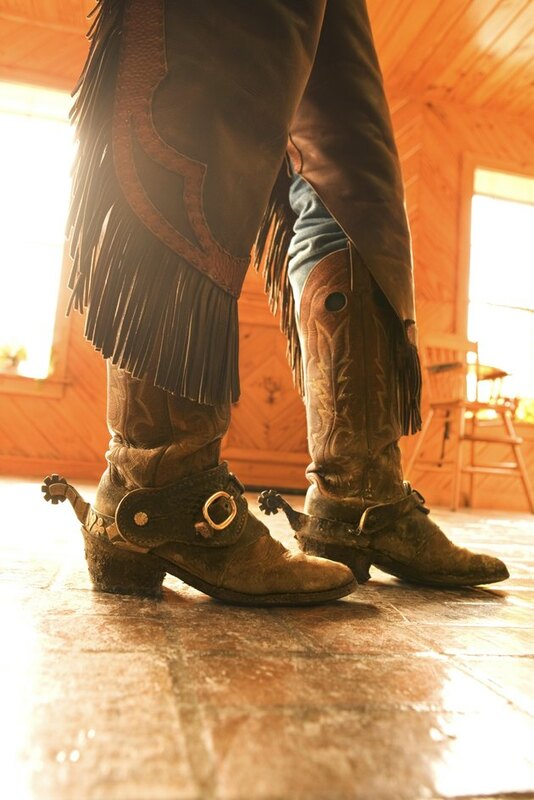 Softening leather will protect your boots, so you can continue wearing them as if they're good as new. Leather conditioner buffers the leather from water, salt and grime. Buy a conditioner recommended by the boot manufacturer. Otherwise, look for ones that deeply penetrate the leather's fibers and lock in natural lubricating fats, such as animal-based oil conditioners. Avoid greasy conditioners or blends with petroleum, which weakens leather. As soon as you buy your boots, condition the leather to soften and protect the skin; if you've already worn them, wash away dirt with a damp cloth before conditioning. Test a small amount of leather conditioner under the laces or on the underside of the tongue. Light-colored leathers will darken slightly. If you're satisfied with the look, take off the laces to expose the tongue of the boot. Rub the conditioner all over the surface of the boots to keep the leather flexible. The more often you wear your leather boots, the more they will soften to a supple shape and conform to your feet. Keep your boots soft with frequent conditioning. Pay attention to the effects of the environment on the structure of the boots, because different types of leather vary in strength, water resistance and reactions to chemicals. Note whether there are visible cracks, which signal dried-out leather. If you live in a dry region, condition every two weeks. If you wear them often in the snow, condition once a week. Condition thin and old leather boots more often, as they break down faster. Although it is sometimes suggested as a softening technique, avoid filling leather boots with water as a way of expanding the skin. Once water seeps into unprotected seams in the sole, it may be difficult to clean out rotting mildew. The excessive moisture will loosen the shape of your boot and cause it to slacken. If you accidentally get leather boots too wet, rub in conditioner and let them air dry at room temperature. What Is a Good Way to Break In Danner Boots?